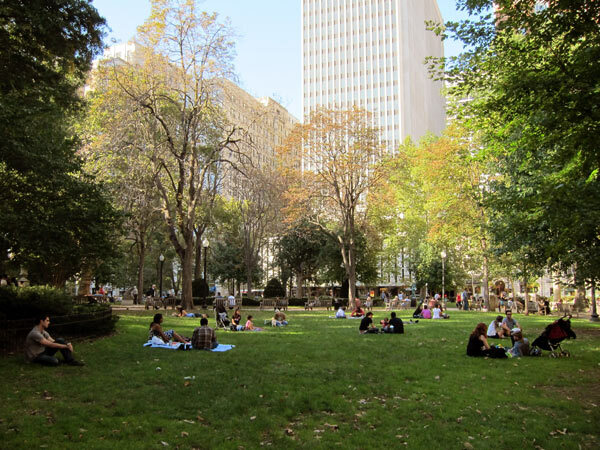 Named Southwest Square in 1682 as part of William Penn’s original concept for the city, the square was renamed for local scholar, inventor, and Revolutionary War patriot David Rittenhouse. 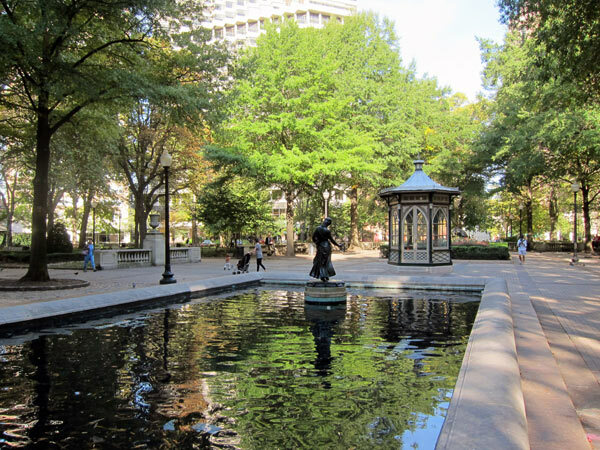 The square initially housed livestock and was surrounded by brickyards into the 1700s. 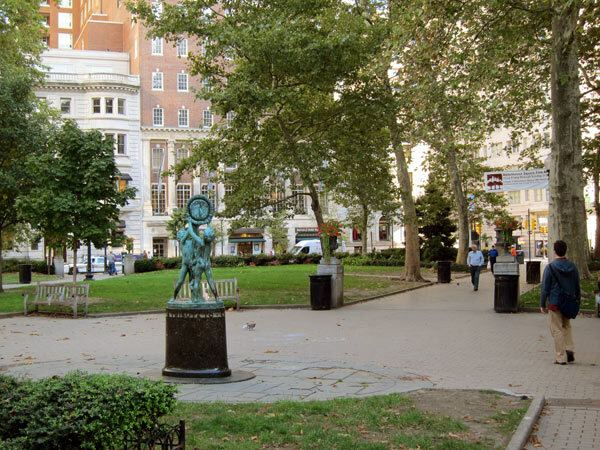 It was the only original square (one of five in Penn’s plan) not used as a burial ground. 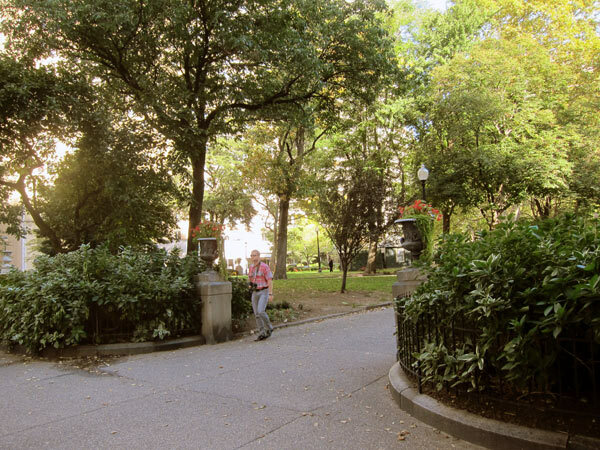 The park was enclosed with metal fencing in 1816, funded by local residents as part of continuing neighborhood improvements in the mid-19th century. 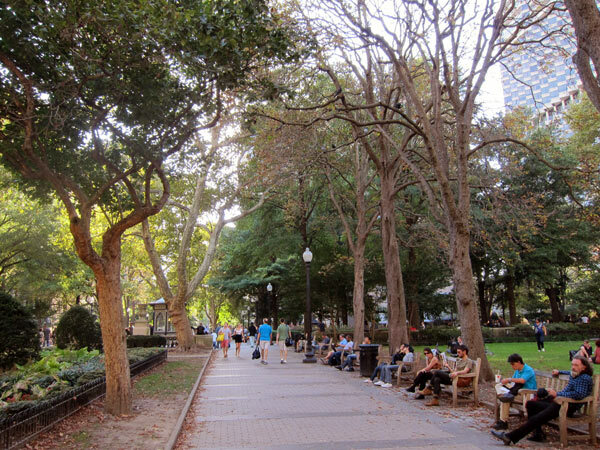 Around 1913, the Rittenhouse Square Improvement Association formed and hired Paul Philippe Cret to redesign the six-acre site; except for small alterations his original plan is intact today. Diagonal walkways cross the square from all four corners, meeting in the center at an oval plaza. The plaza houses a rectangular reflecting pool symmetrically opposite a large planter bed, with a centralized, small, glass pavilion anchoring the space. A circular path rings the plaza and intersects the diagonal walkways. 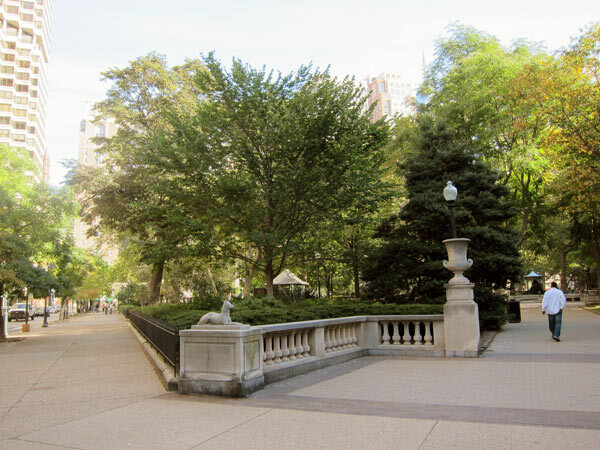 Urns on low pedestals and stone balustrades define the square’s sequence of spaces while now mature trees and lush understory plantings provide color and texture. 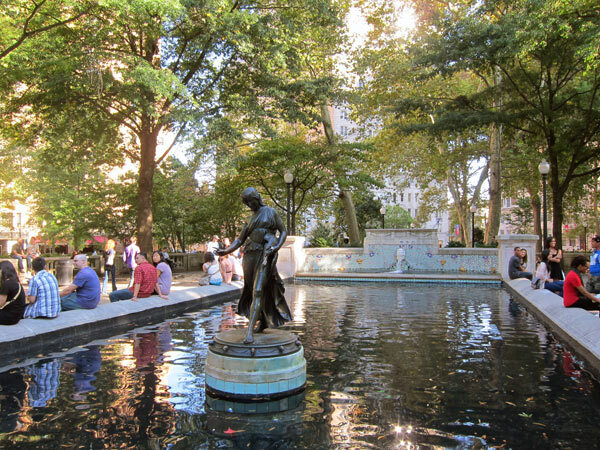 The park’s numerous significant sculptures include Antoine-Louis Barye’s Lion Crushing a Serpent (1890) in the central plaza, Paul Manship’s Duck Girl (1911) located in the reflecting pool, and the Evelyn Taylor Price Memorial Sundial along the northeast walkway. 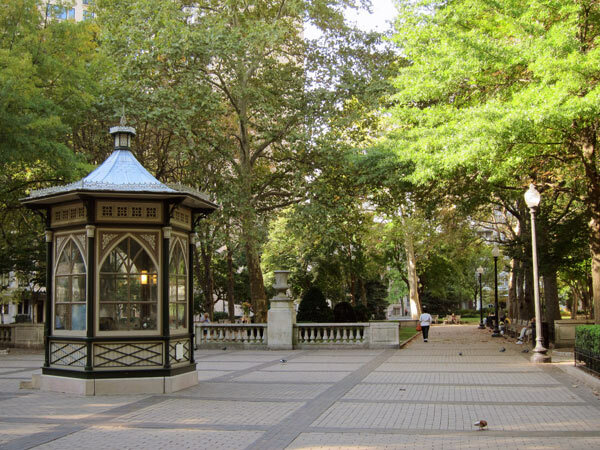 Along with Penn’s four other Philadelphia squares, Rittenhouse was listed in the National Register of Historic Places in 1981.